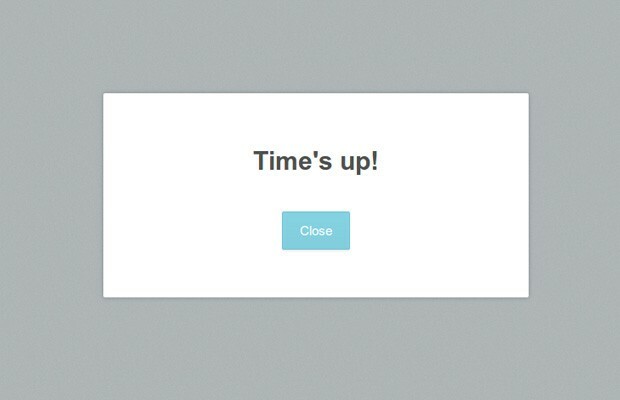 Last week, we created a jQuery & CSS3 - powered digital clock. In this update, we will add support for setting alarms using the HTML5 audio element. Every second, we will need to check whether an alarm should go off. If it should, we will play a small audio file and display a "Time's up" dialog. These features will require changes to the HTML, CSS and jQuery. Let's begin! We will have two dialogs - one for setting/editing an alarm, and another that is displayed when an alarm goes off. Next is the HTML5 audio element. It contains source tags with two different audio formats. The first is an mp3 version of the alarm sound, and the second ogg. The ogg format is only needed in Firefox, which doesn't yet support mp3 playback due to licensing issues. Pretty much all other browsers which support HTML5 audio also support mp3. In this section of the tutorial, we will extend the jQuery code of the digital clock to support and play the alarms. I won't be explaining the code we wrote last time, only the new additions. Next, we have to check whether there is an alarm pending on every tick of the update_time() function. // Is there an alarm set? // Calculate how much time is left for the alarm to go off. There are a few interesting things about this code. Notice how I am using the built-in validity property on line 35, which is exists for the number input type in modern browsers. It tells us whether the content of the input field is a number greater than 0 (remember that they have a minimum value of 0). Another other thing worth noting is the way the code for the alarm dialog is organized with custom events. 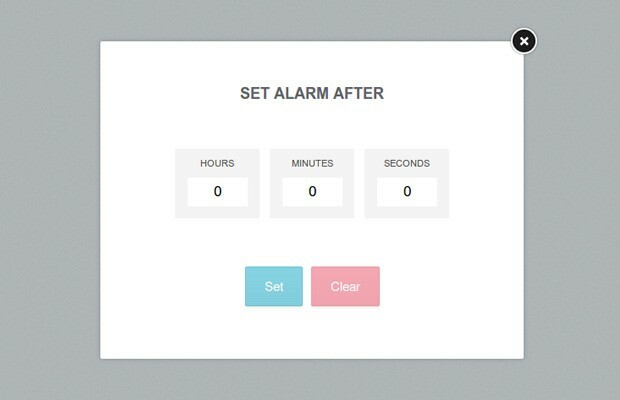 When the show event is triggered, we calculate the remaining hours, minutes and seconds of the alarm, which are then inserted into the input fields. With this our pretty digital clock with alarms is ready! I hope that you've liked this quick tutorial and will find it handy in your own projects. awesome , always learns new things from you. I never used HTML5 audio element. You have nicely explained its use with alarm clock. What is this code for? What are bubbled up events? Does it break if you take that out? Hi. Really cool clock. Could you make it into a poker clock? So that you can start the time and every X minutes, the alarm comes in and displays a text? (at the poker clock the next blind would be displayed) Would that work anyway? This text was translated from German to English, because my English is not so good.